I just published my birth affirmation coloring book for women planning a natural childbirth. 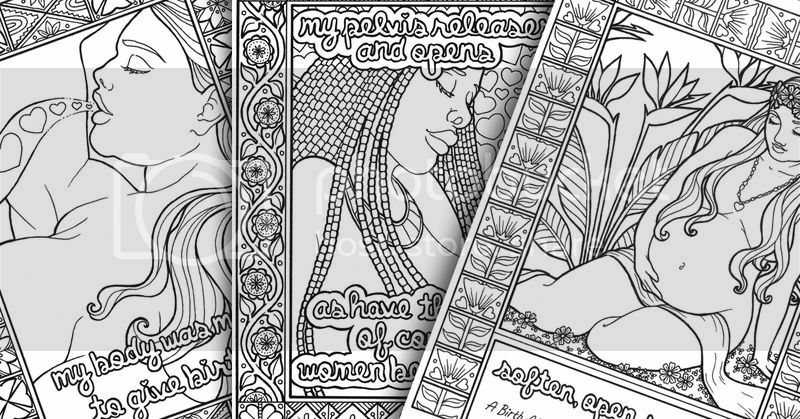 There are eleven pages with colorable birth affirmations that you can use to support you in pregnancy and they can be hung on the walls in your birthing space for support and inspiration. They also make fantastic gifts!